I already knew of plenty of things to do in Melbourne, but this time I was scouring the city with a purpose: to find some of the best coffee in a city known for getting its buzz on. I’d already consumed a large amount of coffee by that point while strolling Melbourne‘s laneways, alleyways, and arcades, but it would be rude to say no to more of the city’s famed brews, wouldn’t it? The Melbourne coffee scene was calling and so I followed it right to Brother Baba Budan. Rejuvenated by the good coffee I headed back to my day of exploring Melbourne’s laneways. The one immediately next to Brother Budan, Rankins Lane, is pretty colourful and also home to Manchester Press, which serves a great range of stuffed bagels in a converted warehouse. 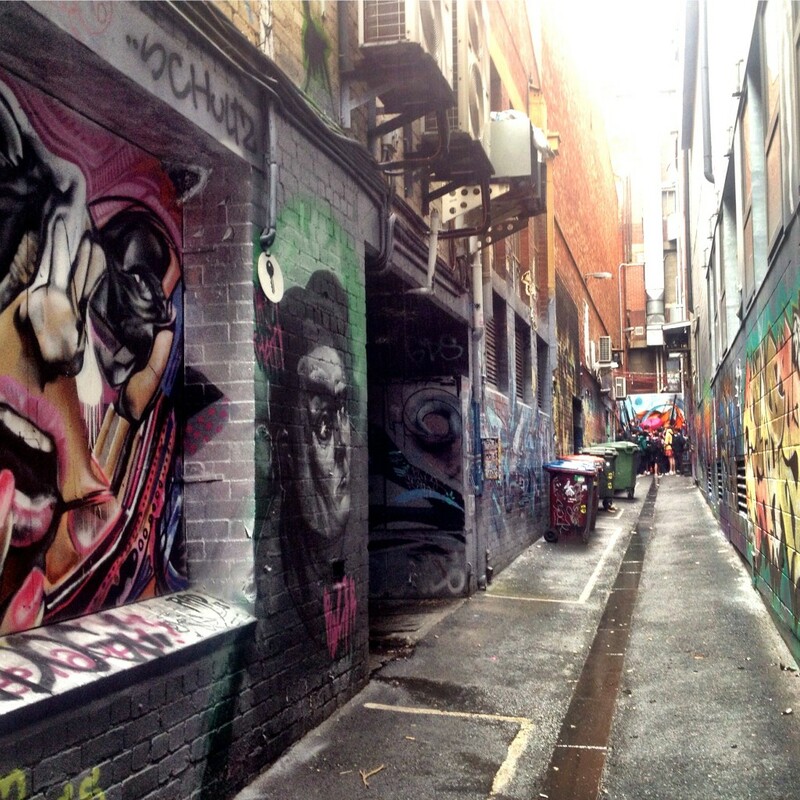 The most famous of Melbourne’s decorated laneways are situated near Flinders Street Station. Degraves Street and Hosier Lane are like a constantly evolving art gallery and I love to visit them each time I’m in the city. I’m a fan of local artist Be Free, whose little girl drawings you will spot dotted over the city. My favourite alleyway, however, is in Chinatown and is a dead end not spotted by many people. It’s called Croft Alley and has a bar called The Croft Institute hidden at the far end—try to find it next time you are in town. I then headed to South Melbourne for the afternoon. I wanted to find a souvenir to remember my time in the city and what better way than by purchasing something that was inspired by and made in Melbourne? Melbourne Style is a store and gallery in one and everything in stock is a tribute to Melbourne in some way. From tea towels inspired by tram signs to cups and saucers with the skyline, the collection celebrates Melbourne and honours its creativity perfectly. I finished my day of exploring nearby in the cosy, Scandi-style confines of Dead Man Espresso, hands cupped around a cappuccino. I noticed something familiar on the menu though: the Seven Seeds beans I had learned all about that morning in Brother Baba Budan. I feel like I’m beginning to get to know the Melbourne coffee scene almost as well as its alleyways. Thirsty for more Melbourne? 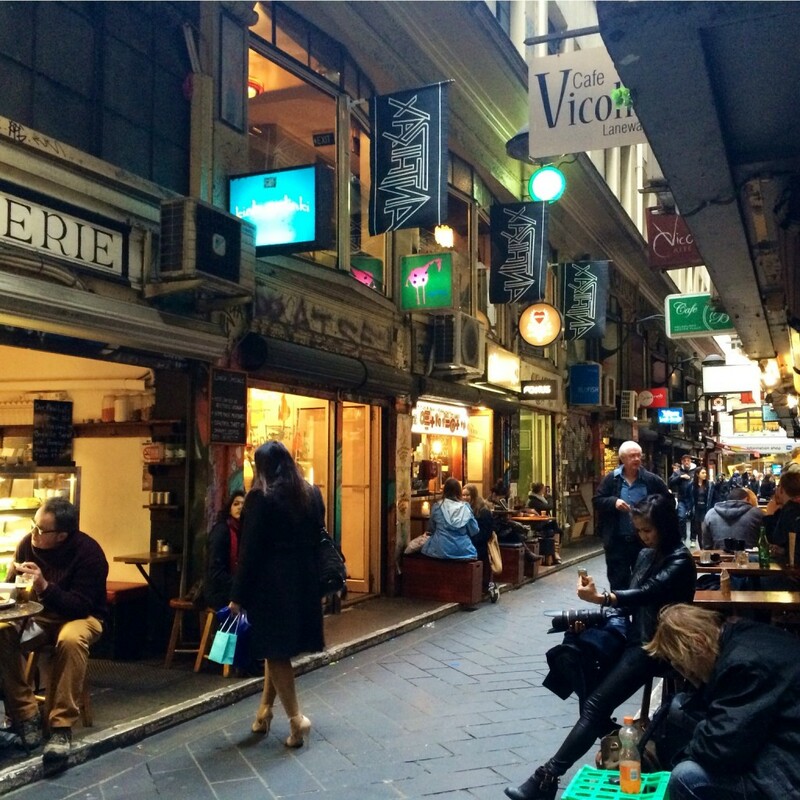 Check out the city’s secrets on one of our locally led Melbourne tours!